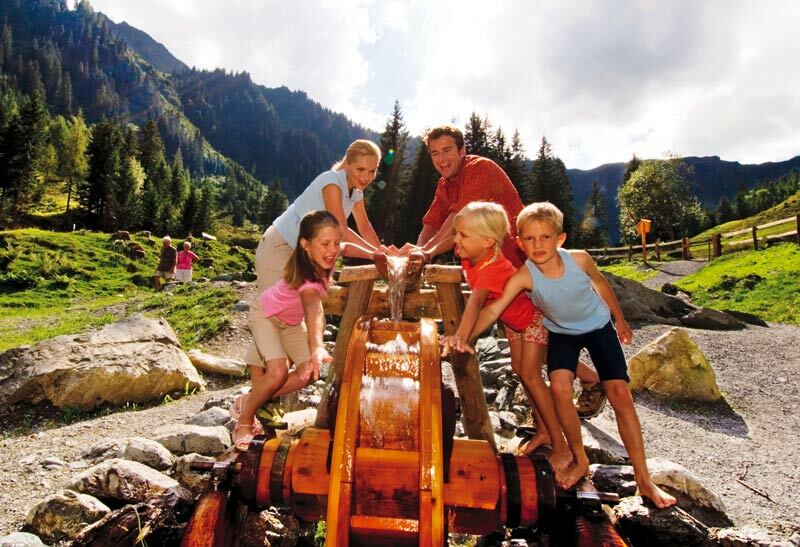 There are lots of activities for all generations awaiting you in and around Saalbach Hinterglemm! 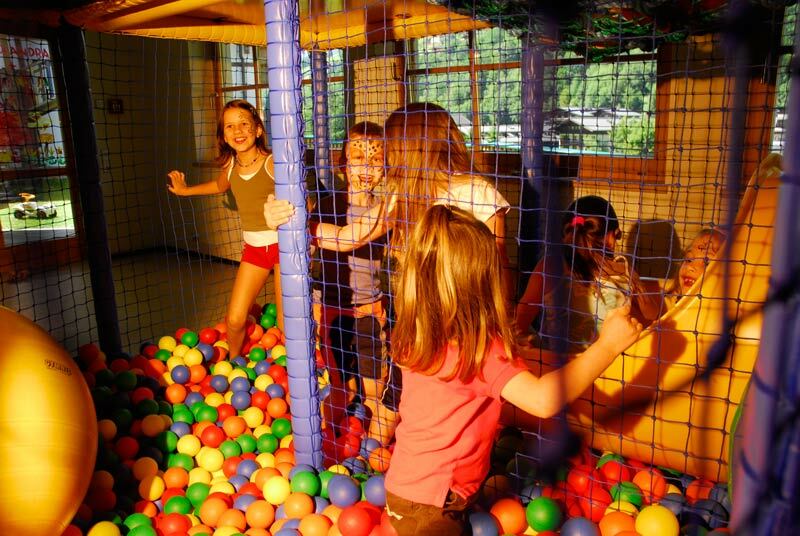 Here a holiday for 3 or even 4 generations is possible, holiday together from ages 0-99! For every age class, there’s an individual offer to suit you best. “Relax actively and actively relax” what sounds like a contradiction is possible at the Egger! Relax with our comprehensive range of wellness and “welltainment” offers, stay active and use the many sporting and recreation services we have on offer in our region. Enjoy an exciting, richly diverse and most of all a light-hearted holiday in this wonderful holiday location. Just a few meters after the well known “Lindlingalm” mountain hut you will find the devil’s water. 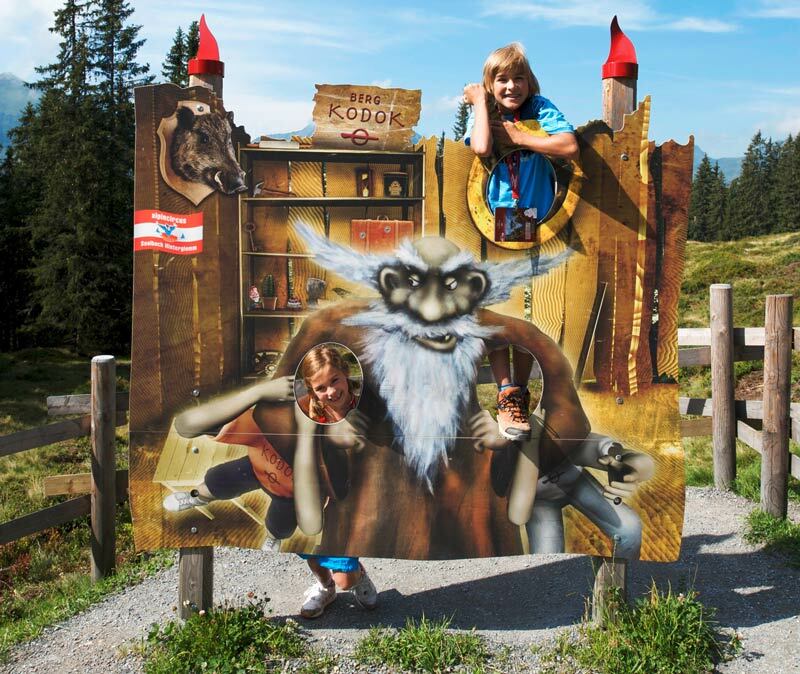 The alpine circus Saalbach Hinterglemm has one further attraction! The magic world of the devil’s water in the end of the valley is a big theme park with many offers for playing and wellness concerning the element water. A “Kneipp”-Basin, a fishpond, wooden playhouse, rocky pool, cave path, herbs-of-the-alps-path and the “Stonedragon Square”, fairy- and gnome world, dancing forest ghosts and some resting places to relax. The whole summer through you can visit the devil’s water for free! Next to the well known devil’s water a brand new theme park was built: “Schnitza’s wood park” is entered through a wood maze and contains numerous playing facilities. “Back to the roots” is the motto. How many kids unlearned how to play with simple and natural materials because of computer games? In “Schnitza’s wood park” creativity, the spirit of adventure are demanded in the same way as open eyes for the nature and a little braveness. 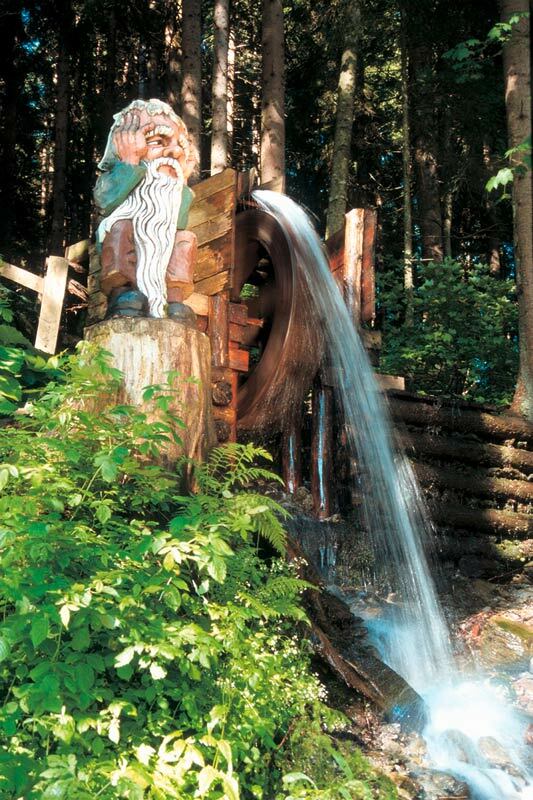 Herbert Aschaber, the famous wood carver, called “Schnitza”, creates with his wood park a new and attractive facility in Saalbach Hinterglemm’s holiday portfolio. Between top- and middle station of the Kohlmais cable car a completely new attraction waits for you this summer! Its all about the little clown Montelino who lost his smile because he neglected his friends and toys until they disappeared. Now its your turn to bring the smile back to Montelino. Take a box and try to find all his friends and toys again. Follow the wise owl – it will help you! Enjoy a new adventure and help Montelino to smile again. 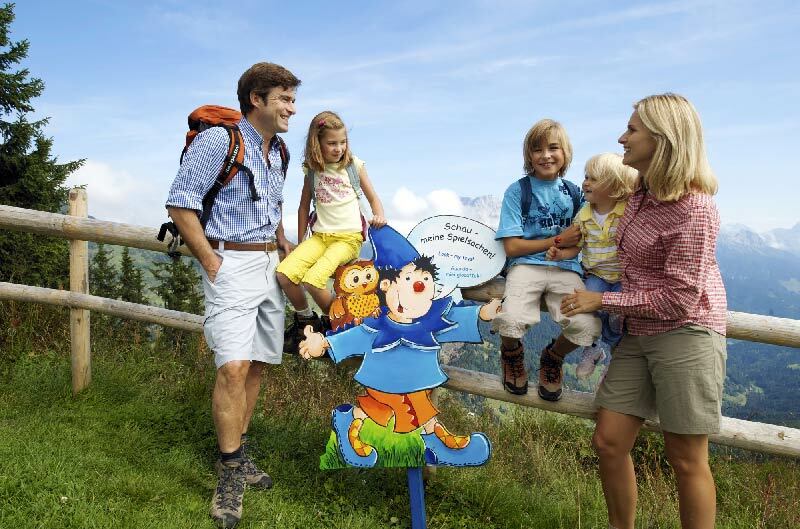 Equipped with an empty toy box – which the children receive at the bottom station of the Kohlmais cable car – they follow the wise owl. With the cable car the visitors glide up to the Kohlmais peak, where the first game stations are waiting. From the top to the middle station of the Kohlmais cable car it goes through the wood and over meadows – always looking for the lost toys and friends of the little Clown. The children explore the nature and they are having fun on the magic mountain. From the spider net, passing the giant snake “Paula” to the punch show. From the home of the funny squirrel with the golden nut, take the big chute to the circus arena. There’s a lot to explore! With a walking duration of approx. 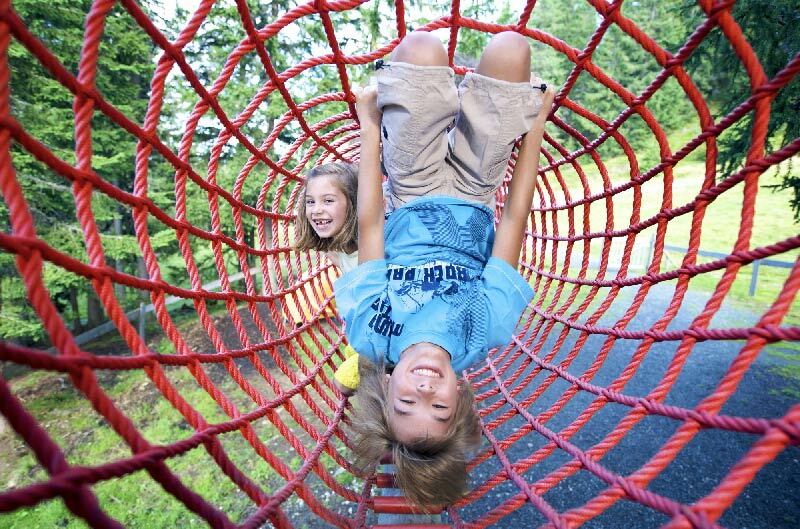 90 mins and a distance of about 3 kms the mountain experience at the Kohlmais is ideal to spend a half of full day with the family. 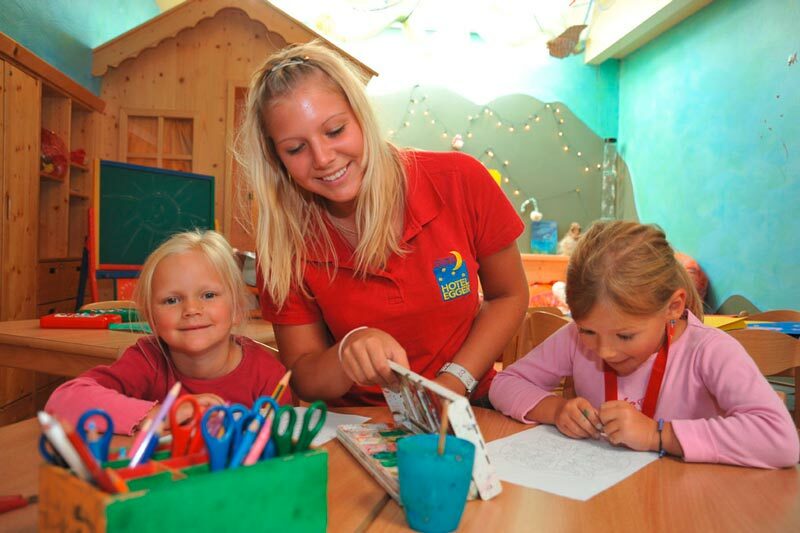 Huts with special kid’s offers invite you to stay. 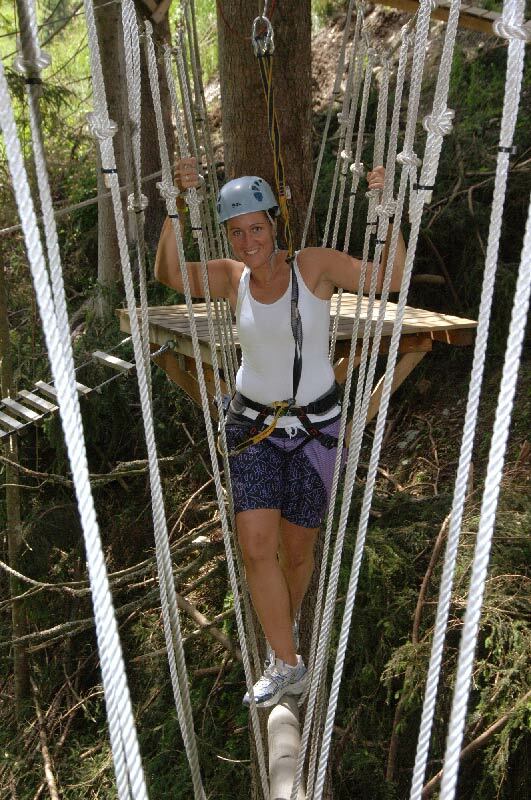 The visit of the Adventure path is free of charge. The game pass, which the kids receive at the bottom station is included in the cable car ticket. Please note the opening hours of the Kohlmais cable car. 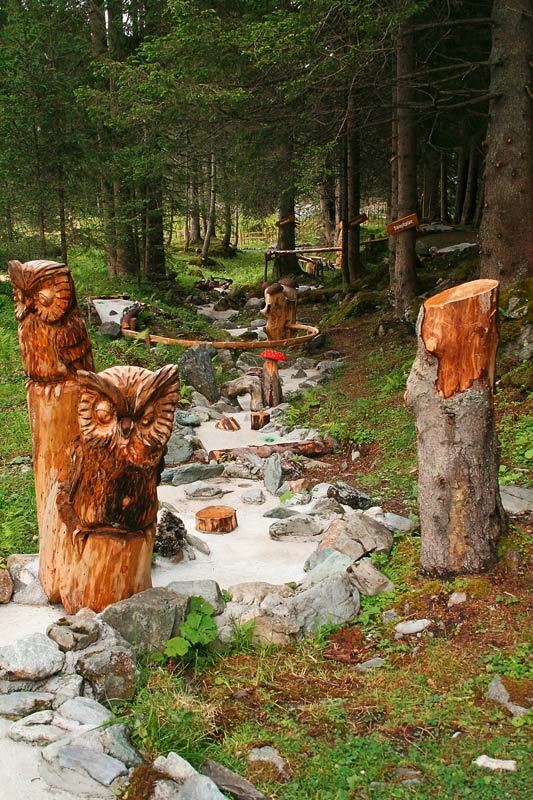 Follow the mystical clues on the track from the goblin on the Reiterkogel. Once upon a time goblin, called Kodok, had stolen the magic cap from our clown. Until today, nobody had managed to get the clown cap back. It is said, that the goblin hid the cap at a secret place. Now you have the chance, to bring back the luck to the mountain Kodok. To solve the riddle, you have to find the right code of signs and record it in your adventure pass. Follow the mystical hints on Mount Kodok, find the goblin´s tracks and unravel the mysteries, which you´ll see. Dare to go through the dark canyon and the speaking-tree will tell you the secret. Good luck for your adventure at the Reiterkogel! 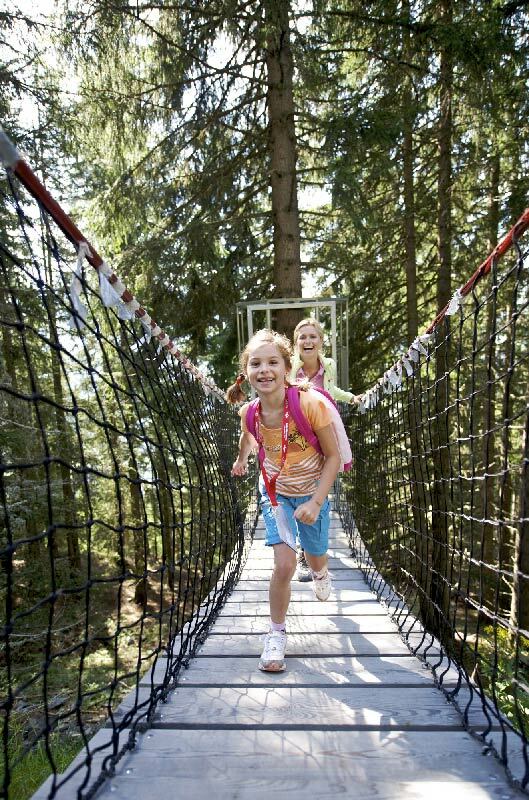 At the idyllic valleyend of Saalbach Hinterglemm a new attaction is available will be built within the next three years. 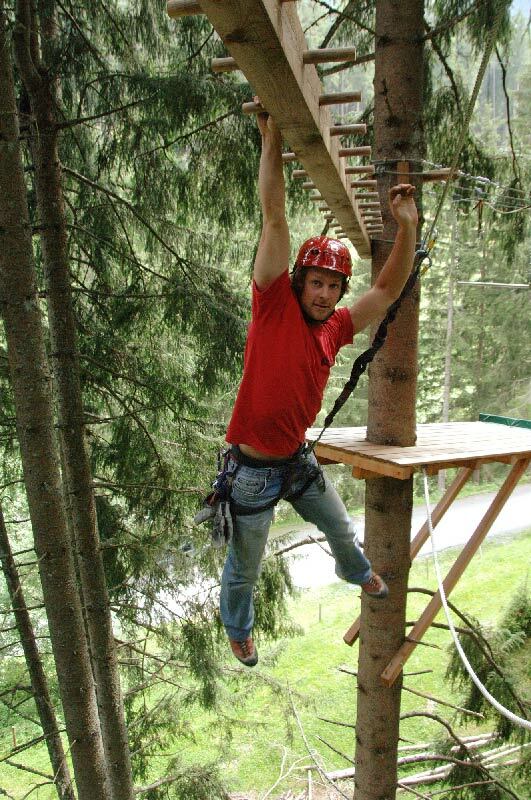 Next to the devil’s water and Schnitza’s Woodpark Austria’s biggest high rope course will be built. The first and second part of the high rope course is already opened. Savety is the most important matter. Every participant is permanently secured twice by the Lifeline. 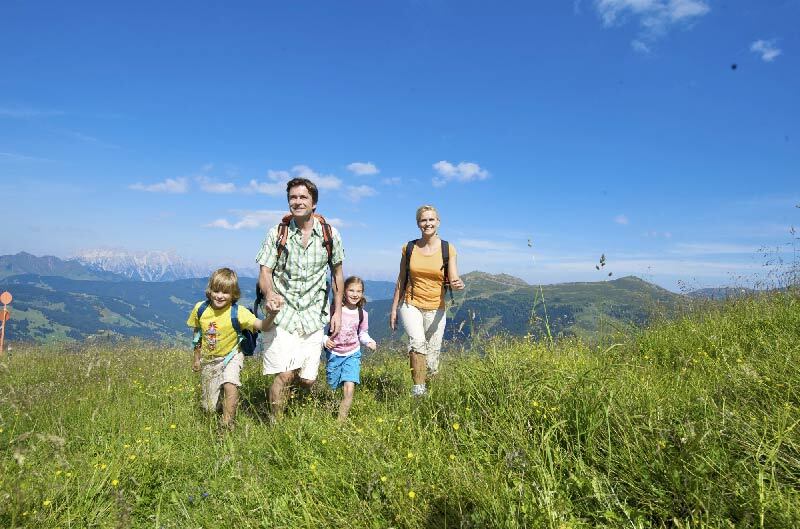 As a founding member (1989) of the European Specialist for Family Holidays and Vacation with Children we ensure high quality standards and many offers for families with children. 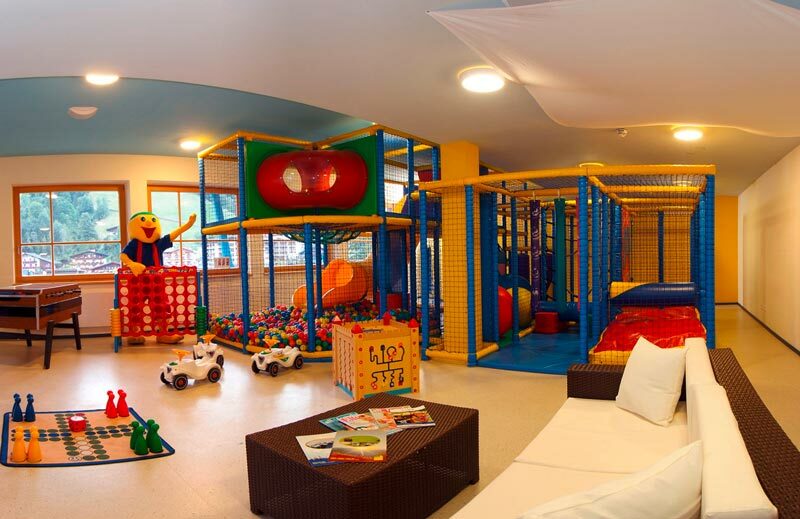 The babies, children and also teens will find a paradise with many different leisure possibilities. They small once can attend the kindergarten where many activities are arranged, and they also will find a lot of friends, while their parents can enjoy the vacation. 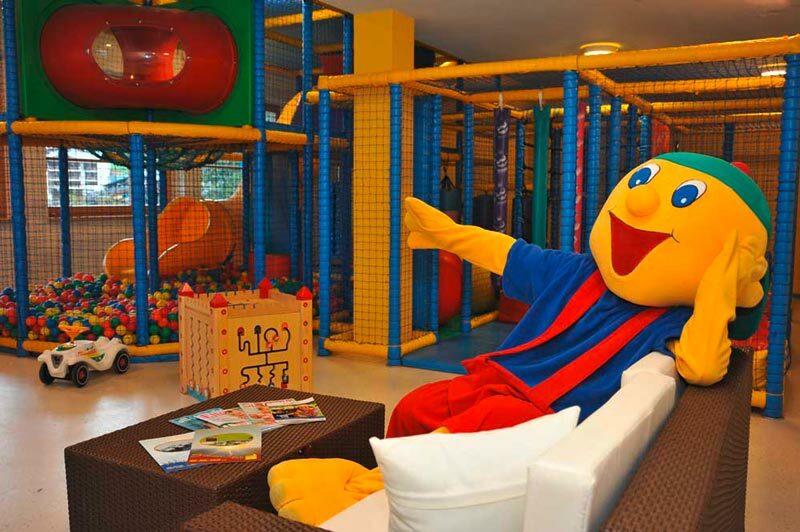 Our playmate guarantee will ensure enjoyment and great fun for kids of all ages! According to any own wishes, parents can spend their valued holiday partly with and partly without their children. At any time you can plan to do something on your own as the small ones as well as the older ones are excellently catered for and looked after by our certified day-care staff and entertainers. The diverse, exciting and creative weekly program simply does not allow for any boredom, offering adventure for all tastes. 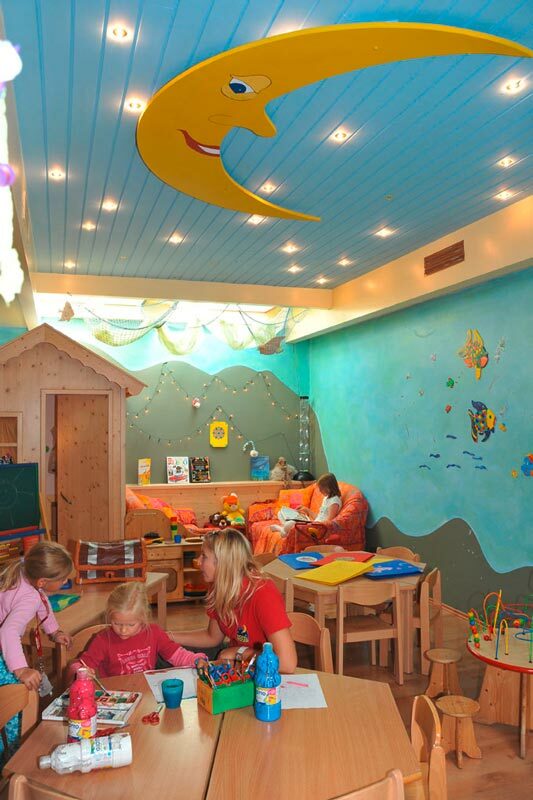 For our smallest guests we offer baby sitting in the baby paradise. 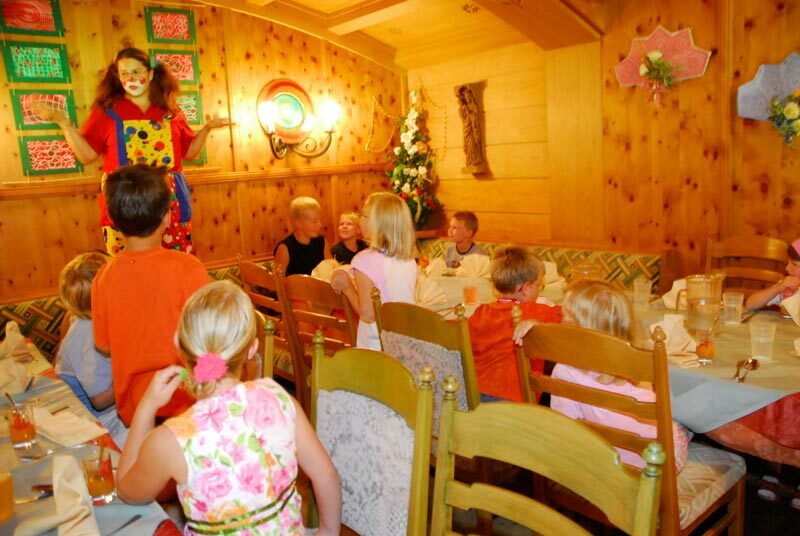 If you book a holiday at ‘Familotel Egger’ you are guaranteed a high-quality family holiday. That’s because, in order to join the Famlotel-group, hotels must meet a rigorous set of minimum requirements. Inspectors check the facilities we offer, the quality of the food we serve, our safety standards, everything. Independent inspectors then make regular checks to ensure that standards never slip.